Thinking “out of the box” is no longer a luxary. It is essential in today’s rapidly changing business environment to survice. Hence the need for a innovation course or innovation training course. Indeed in view of the necessity and growing importance of these types of courses these type of intervention have many names: creative thinking skills training; creative thinking course; creativity and innovation skills training; creative training courses; creativity and innovation training ; creative thinking training courses. Demonstrating understanding of the techniques that promote creativity. Analysing own unit in terms of opportunities for innovation. Leading a team through a creative thinking process. Developing a plan for creating an environment conducive to innovation. 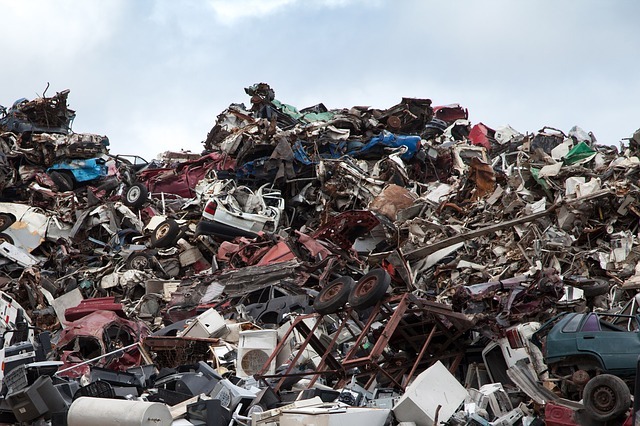 Don’t be left on Scrap Heap – Innovate! Analyse own organization (Public or Private) in terms of opportunities for innovation. Identify features of an environment that promotes innovation. Environment conducive to innovation include openness, creative thinking, questioning, encouragement of risk-taking, rewards for innovation, as well as a culture of enquiry, challenging the status quo and learning from mistakes. The features of an environment conducive to innovation. Does the current environment promote innovation. Lead a team through a creative thinking process. Techniques for promoting innovation and creativity are applied to generate ideas for a new or improved process, project or product. A number of alternative solutions are generated in relation to the process, project or product. The best alternative is selected. A concept is developed and recorded and communicated for implementation. Demonstrate an understanding of the world as a set of related systems and how innovations in one area could impact on another. Use science and technology to assist with idea generation and to record ideas. creative thinking skills training; creative thinking course; creativity and innovation skills training; creative training courses; creativity and innovation training ; creative thinking training courses. ensure that the acquired tools and knowledge are user friendly and easily applied in the workplace. Innovation & Creative Thinking Training Course is an essential skill.